Are you interested in becoming an RDI certified consultant? We are proud to be the only official training center in Canada where you can be trained to use the RDI model with families. Classes will prepare you to work with special needs children and their parents and focused on the remediation of Autism’s core deficits. A combination of lectures, small group discussions, actual parent training sessions, video reviews and case studies will equip trainees to empower parents through meaningful engagements. Come and join us, change lives and make a difference! Download the 2019 Professional Packet here! Supervision and mentoring of trainees work with 2 families will commence following completion of parts 1a & 1b. To book a time to chat with the Lisa Palasti, Director of Professional Training in Canada, email [email protected] or call (519) 575-5323. Lisa Palasti has over 20 years of experience working with children with special needs. 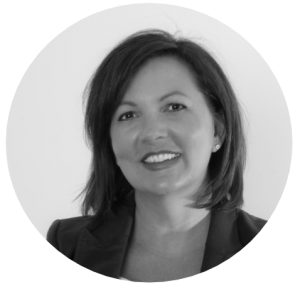 Prior to becoming the first certified RDI® Program Consultant in Canada in 2005, Lisa worked in the school system supporting children with special needs. Lisa has held a variety of roles with RDIconnect® which includes supervision of professional consultants in training, co-producing webinars for professionals and parents, blogging and more. She is the founder and director of Mindful Guide Consulting and works with families across Canada from British Columbia to Prince Edward as well as the USA. Lisa is excited about the opportunity to bring the RDI® Program Training to Canada so that more professionals can be trained in this amazing program to better support families and improve the quality of lives of their loved one affected by Autism here in the Great White North. Lisa knows firsthand what it feels like to be a parent of special needs children and the positive impact Relationship Development Intervention® has had on her family. Lisa began using Relationship Development Intervention® with her family in 2003, today her boys are both independent young men and thriving members of their community. She finds it tremendously rewarding work to empower and educate parents to guide their children in developing real world competency and dynamic intelligence. RDI® changes lives and builds minds – parents can make all the difference! Schedule a Free Skype with Lisa! Put in your email to instantly receive an RDI® Canada certification packet. Packet includes all pricing and course details. Thanks for your interest in RDI. Your download should open immediately.